An unwavering commitment to serving seniors and people with disabilities. The ability to swiftly manage call-offs and schedule changes to ensure proper coverage. Being the key to employee communication in an agency. Sound like anyone you know? Schedulers are critically important to an agency’s success. 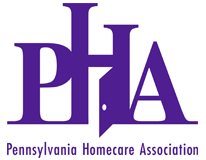 Back by popular demand, PHA is pleased to present a day-long workshop specifically designed for schedulers – the superheroes of home-based care! The event will feature presentations on conflict, communication and confrontation, recognizing the appropriate level of care, and thinking outside the schedule. Nationally-recognized communications expert Pamela Jett is back to once again – at the request of schedulers who attended last year’s events – to lead this dynamic workshop. She will help attendees gain essential leadership and communication skills for understanding, relating to, leading and working more effectively with all types of people... even the most difficult!